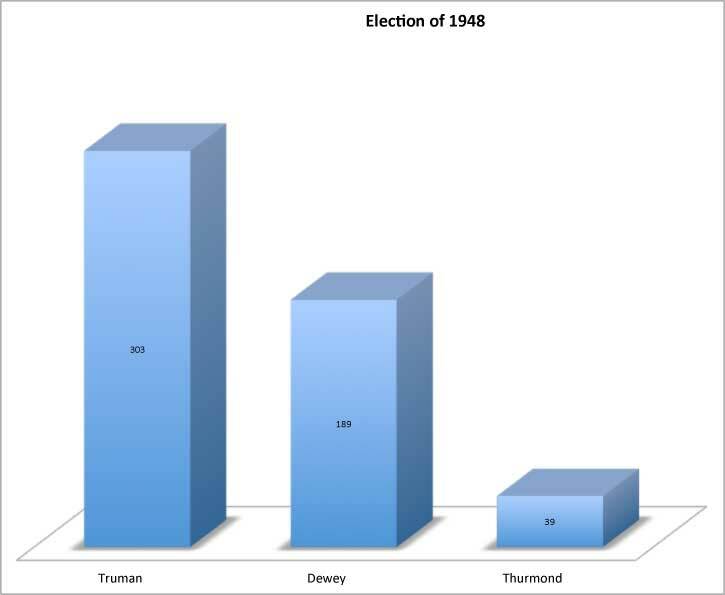 As the 1948 elections approached, President Truman was not popular. 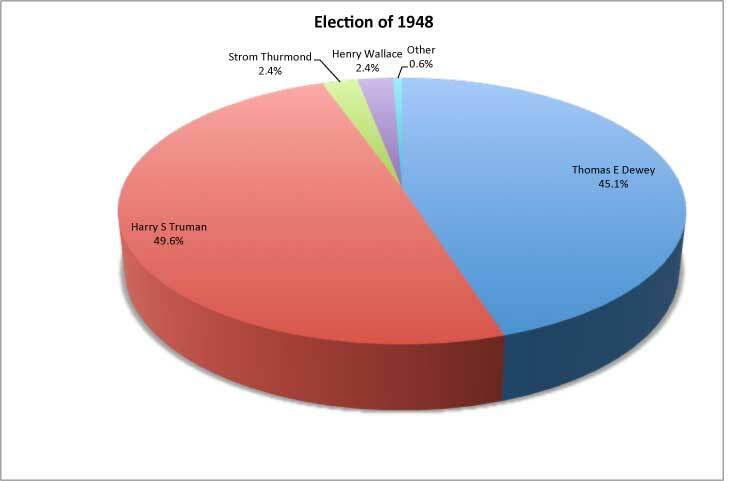 In April 1944, one poll showed Truman with only 36% of the population approving of his performance as President. He was attacked by the Republicans with slogans, such as "To Err is Truman" and "Had Enough". When the Democrats met in Philadelphia they reluctantly nominated Truman on the first ballot of the convention, despite his clear lack of popularity. Mayor Herbert Humphrey, of Minneapolis, pushed for a strong civil rights platform for the Democratic party. Humphrey’s civil rights platform was adopted. As a result, many of the Southern delegates chose to leave the convention. The Republicans renominated Thomas Dewey, the governor of New York, as their nominee. Strom Thurmond of South Carolina ran as a candidate of the Dixiecraft party (a break away party made up of disgruntled Southern Democrats). Henry Wallace ran as a candidate of the Progressives, on a platform that opposed the Marshall Plan, and was more conciliatory to the Soviet Union. 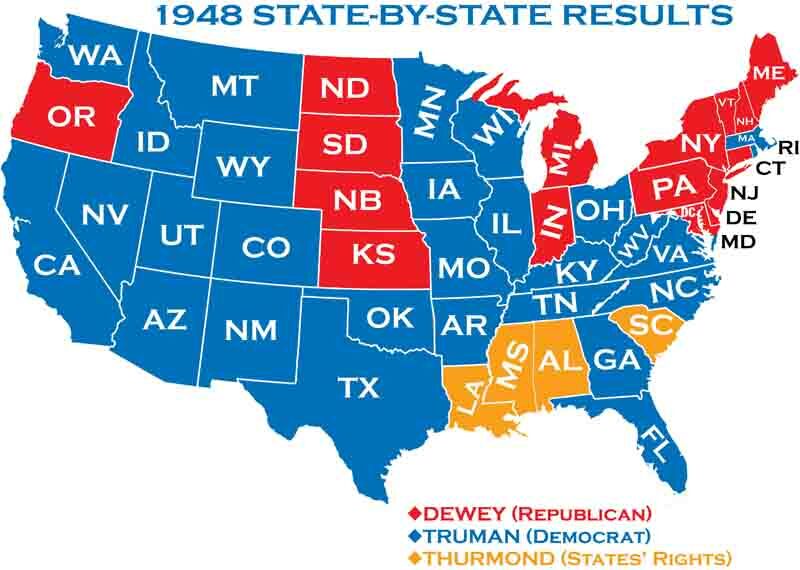 The campaign began with Truman as the underdog. In his acceptance speech Truman stated: "I'm going to fight hard. I'm going to give 'em hell" So he did. He began a coast-to-coast train campaign, in which he covered 22,000 miles and gave ten speeches a day. It became known as the "whistle.